Using a t2.micro instance type in the EC2 US-WEST2 region, I ran the systemd boot time benchmark on various Linux distributions... Ubuntu 16.04, Minimal Ubuntu 16.04, Ubuntu 18.04, Minimal Ubuntu 18.04, SUSE Linux Enterprise 12 SP3, Red Hat Enterprise Linux 7.5, Amazon Linux 2 AMI, and Clear Linux 23550. The t2.micro is the basic EC2 instance type with a 1 vCPU rating and 1.0GB of RAM. Each Linux distribution was setup on the same instance type, which is backed by an Intel Xeon E5-2676 v3 CPU with Xen HVM domU 4.2, 1GB of RAM, and 28GB of SSD storage. With each fresh instance the OS was updated, rebooted again, and boot time information that's exposed via systemd then collected by the Phoronix Test Suite. Minimal Ubuntu 16.04 was indeed faster at booting, dropping from a boot time of 10.3 econds down to 8.6 seconds. But with Ubuntu 18.04 vs. Minimal Ubuntu 18.04, there wasn't any overall difference. 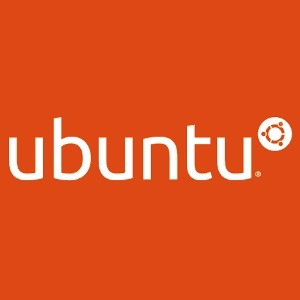 Ubuntu 18.04 remains among the slowest Linux distributions booting on EC2 -- only outdone by SUSE Linux Enterprise 12 SP3. By far the fastest Linux distribution booting on the Elastic Compute Cloud remains with Clear Linux at just 2.6 seconds! The next fastest booting distribution, Minimal Ubuntu 16.04, took nearly three times longer. The kernel portion of the boot process took just 0.295 seconds on Clear Linux while under Ubuntu it was 2~4 seconds. The kernels on Minimal Ubuntu indeed boot faster than the standard Ubuntu 16.04/18.04 images. The user-space code is the reason why SLES 12 SP3 was booting so slow. Even with the user-space code on Clear Linux was a significant advantage over the other tested Linux distributions. The boot time in the cloud is important particularly if you are trying to scale your cloud on-demand.